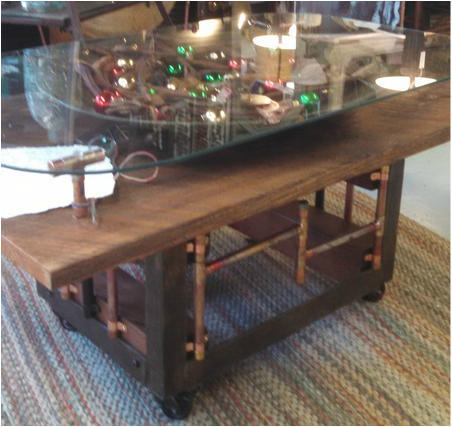 Handcrafted Tables - WOODBINE DESIGN ASHEVILLE,NC. Rusty spring lift base from a local textile mill was found and brought back to life. ​Local barn wood was used for the top. ​Heat treated copper pipes used on the end to stabilize the springs.